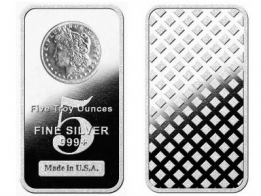 These bars are really popular with silver investors because they are a low premium 10 oz silver bar. The bars are available in 1 ounce, 5 ounce and 10 ounce sizes. 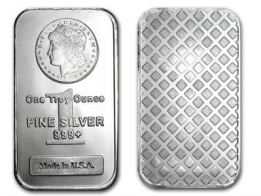 The 10 ounce USA minted bars are manufactured primarily by Silvertowne, a large American refinerly, however other refineries also produce the bar. These bars are sold sealed in plastic to prevent tarnishing. The front of the bar features an image of Lady Liberty, with the bar's weight and fineness. 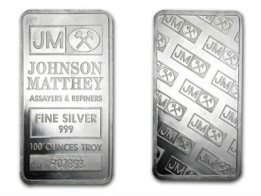 These 10 oz low premium silver bars come in sheets of 10 pieces. They are popular as a low premium silver bar option for individauls looking to buy silver bars for investment. Contact us to sell USA Minted silver bars. 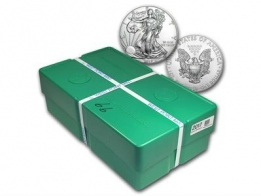 View today's silver price per oz.